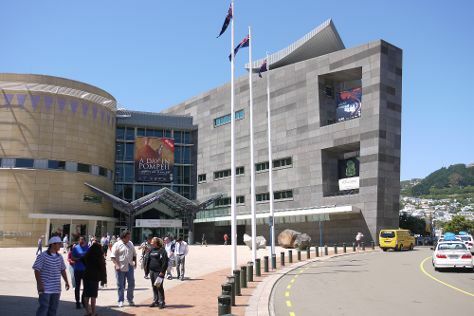 On the 3rd (Sun), get a sense of history and politics at Parliament Buildings, admire the striking features of Old St Paul's, stop by NZique, then contemplate the waterfront views at Oriental Bay, and finally see the interesting displays at Museum of New Zealand (Te Papa Tongarewa). Here are some ideas for day two: get great views at Wellington Cable Car, take in the exciting artwork at New Zealand Academy of Fine Arts Academy Galleries, get engrossed in the history at Wellington Museum, then learn about all things military at National War Memorial, then admire nature's wide array of creatures at Wellington Zoo, and finally take in the exciting artwork at Kura Art Gallery. To see traveler tips, maps, ratings, and tourist information, go to the Wellington travel itinerary planner . Sao Paulo, Brazil to Wellington is an approximately 22.5-hour flight. You can also do a combination of bus and flight. Traveling from Sao Paulo to Wellington, you'll lose 15 hours due to the time zone difference. Expect little chillier temperatures when traveling from Sao Paulo in February; daily highs in Wellington reach 24°C and lows reach 17°C. Wrap up your sightseeing on the 4th (Mon) early enough to travel to Queenstown. Start off your visit on the 5th (Tue): admire all the interesting features of Glenorchy-Queenstown Road, tour the pleasant surroundings at Queenstown Hill, and then relax and float downstream with a rafting and tubing tour. Keep things going the next day: get your game on at Skyline Queenstown, take in the exciting artwork at Silver Fern Gallery, and then take a memorable tour with Tours. To see photos, traveler tips, other places to visit, and more tourist information, refer to the Queenstown tour planner . You can fly from Wellington to Queenstown in 3.5 hours. Other options are to do a combination of flight and bus; or do a combination of ferry and car. Finish up your sightseeing early on the 6th (Wed) so you can travel to Cromwell. Cromwell is a town in Central Otago in the Otago region of New Zealand.Cromwell is between State Highway 6 (linking to Wanaka, 50 km north, and Queenstown, 60 km west) and State Highway 8 leading to the Lindis Pass, 75 km northeast, and Alexandra, 33 km south. Kick off your visit on the 7th (Thu): explore the landscape on two wheels at Otago Central Rail Trail, learn about winemaking at Misha's Vineyard Tasting Room, then take in the exciting artwork at marie velenski, then do a tasting at Domain Road Vineyard, and finally take in the exciting artwork at Alan Waters Art Gallery. 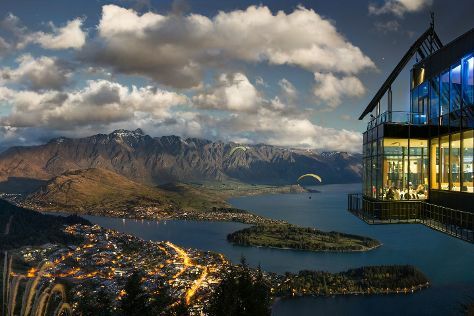 Here are some ideas for day two: get your game on at Puzzling World, then see the world from above with a helicopter tour, then view the masterpieces at The Picture Lounge, and finally hit the slopes at Wanaka. To find traveler tips, photos, and other tourist information, go to the Cromwell online travel route planner . Traveling by car from Queenstown to Cromwell takes an hour. Finish your sightseeing early on the 8th (Fri) to allow enough time to travel to Dunedin. 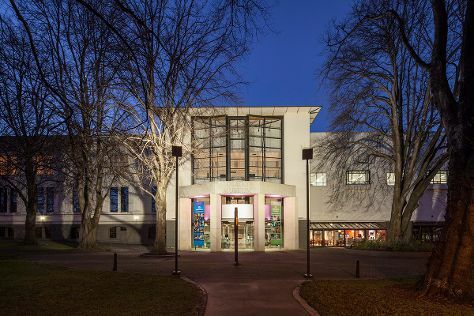 Start off your visit on the 9th (Sat): explore the galleries of Dunedin Public Art Gallery, tour the old-fashioned way with a train tour, then look and learn at Otago Museum, and finally admire the natural beauty at Dunedin Botanic Garden. Get ready for a full day of sightseeing on the 10th (Sun): view the masterpieces at Gallery De Novo, sample the tasty concoctions at Speight’s Brewery, contemplate the long history of Olveston Historic Home, engage your brain at The Dunedin Museum of Natural Mystery, then view the masterpieces at Happy Hens, and finally take in the exciting artwork at Milford Galleries. For reviews, more things to do, where to stay, and other tourist information, refer to the Dunedin itinerary maker tool . Drive from Cromwell to Dunedin in 3 hours. Wrap up your sightseeing on the 10th (Sun) early enough to travel to Hokitika. Hokitika is a township in the West Coast region of New Zealand's South Island, 40km south of Greymouth, and close to the mouth of the Hokitika River. On the 11th (Mon), stop by William Steyn Stonepainter, explore the galleries of Hokitika Craft Gallery Co-op, then kick back and relax at Hokitika Beach, then see the interesting displays at Westland Industrial Heritage Park, and finally look for all kinds of wild species at Hokitika Gorge Walk. 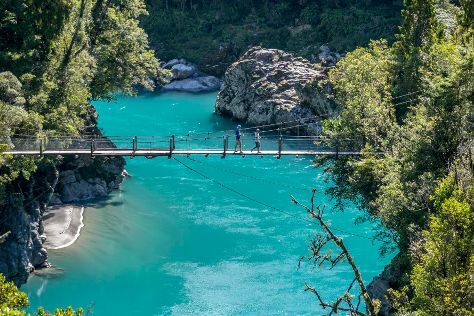 To see more things to do, where to stay, other places to visit, and more tourist information, read our Hokitika route planning tool . Do a combination of bus and flight from Dunedin to Hokitika in 5.5 hours. Alternatively, you can drive; or take a bus. Wrap up your sightseeing on the 11th (Mon) to allow time to travel to Kaitaia. Kaitaia is a town in the Far North District of New Zealand, at the base of the Aupouri Peninsula, about 160 km northwest of Whangarei. Start off your visit on the 12th (Tue): take in the exciting artwork at Village Arts Gallery, take in the exciting artwork at Exhibit A Gallery, then enjoy the sand and surf at Rarawa Beach, and finally tour the pleasant surroundings at Ninety Mile Beach. Keep things going the next day: see the interesting displays at Te Ahu Heritage, take a stroll around Te Ahu Center, look for gifts at Kotare Krafts, then view the masterpieces at Taute Gallery, then kick back and relax at Taipa Beach, and finally browse the exhibits of Fern Flat Pottery. To see where to stay, photos, ratings, and tourist information, you can read our Kaitaia trip planner. You can drive from Hokitika to Kaitaia in 20 hours. Alternatively, you can fly. Wrap up your sightseeing on the 13th (Wed) early enough to travel to Whitianga. Whitianga is a town on the Coromandel Peninsula, in the Waikato Region of New Zealand's North Island. On the 14th (Thu), look for all kinds of wild species at Stu's Wild Pig Farm, tour the pleasant surroundings at New Chums Beach, then kick back and relax at Whangapoua Beach, and finally enjoy the sand and surf at Matarangi Beach. Get ready for a full day of sightseeing on the 15th (Fri): witness a stunning natural landmark at The Lost Spring, then kick back and relax at Otama Beach, and then tour the pleasant surroundings at Opito Bay Beach. To see maps, more things to do, ratings, and more tourist information, you can read our Whitianga trip itinerary builder site . Traveling by car from Kaitaia to Whitianga takes 6.5 hours. Expect a daytime high around 28°C in February, and nighttime lows around 19°C. Finish up your sightseeing early on the 15th (Fri) so you can travel to Waihi Beach. Waihi Beach is a coastal town at the western end of the Bay of Plenty in New Zealand's North Island. 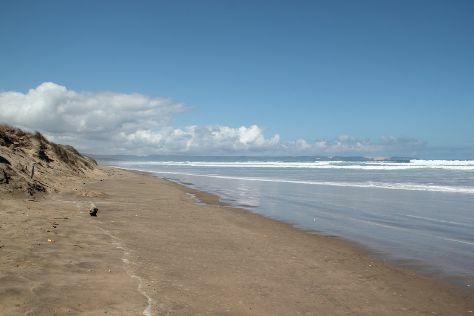 Start off your visit on the 16th (Sat): stop by Finer Wines, enjoy the sand and surf at Whiritoa Beach, and then stroll through Opoutere Surf Beach. Keep things going the next day: kick back and relax at Anzac Bay, kick back and relax at Waihi Beach, then hike along Karangahake Gorge Historic Walkway, and finally enjoy the sand and surf at Whangamata Beach. 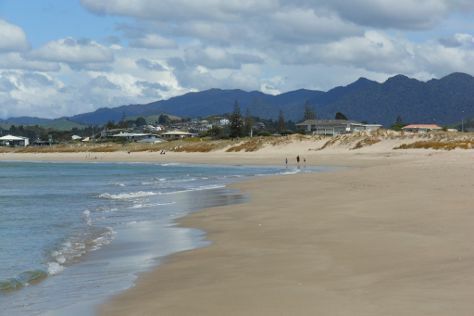 Plan a Waihi Beach trip in moments using our itinerary builder. You can drive from Whitianga to Waihi Beach in 2 hours. In February, daily temperatures in Waihi Beach can reach 28°C, while at night they dip to 19°C. Finish your sightseeing early on the 17th (Sun) so you can travel to Rotorua. Get a sense of the local culture at Eat Street and New Zealand Maori Arts and Crafts Institute. Explore hidden gems such as Government Gardens and River Rafting & Tubing. 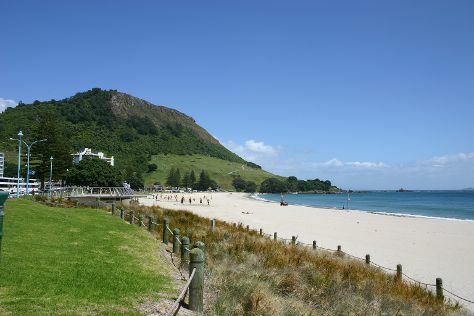 Explore Rotorua's surroundings by going to Mt Maunganui Main Beach (in Mount Maunganui) and Papamoa Beach (in Papamoa). And it doesn't end there: boost your wellbeing at a local thermal spa, take a pleasant ride with a tour on horseback, identify plant and animal life at Redwoods Treewalk, and take in the natural beauty of Te Puia. For maps, ratings, other places to visit, and more tourist information, use the Rotorua trip maker tool . Traveling by car from Waihi Beach to Rotorua takes 2 hours. Expect a daytime high around 28°C in February, and nighttime lows around 19°C. Wrap up your sightseeing by early afternoon on the 20th (Wed) to allow enough time to travel back home.